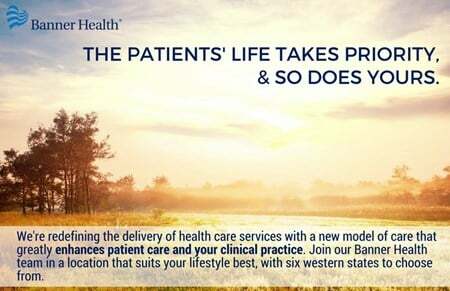 Banner Lassen Medical Center in Susanville, California offers comprehensive care in a state-of-the-art facility. Open since 2004, our history stretches back to 1883, when the Lassen County Hospital was founded. Banner Lassen is a 25-bed, critical access hospital with more than 200 employees, and offers a wide range of programs and services to aid in prevention, diagnosis and treatment of illness. We offer private rooms and home-like birthing suites.. In 2013, Banner Lassen was recognized by iVantage Health Analytics’ Hospital Strength IndexTM as a Top 100 Critical Access Hospital. As part of the Banner Health system, Banner Lassen Medical Center proudly supports our mission, "to make a difference in people's lives through excellent patient care.” As one of the largest nonprofit health systems in the country, Banner Health has both the stability that comes with success, and the values we’re proud to represent. Join us, and take the next step in your journey of a lifetime. Featured Services: Emergency Services, Medical/Surgical Inpatient Services, Infusion Center, Cardiopulmonary/Respiratory Services, Outpatient Surgery, Sleep Study Services, Comprehensive Medical Imaging, Women's Health and Community Wellness. Quick glance at Susanville, California: Located in scenic Northeastern California, Susanville is nestled in the Sierra Nevada Mountain Range at an elevation of 4,255 ft. It is part of Lassen County, which has a population of 34,000 ; Susanville has about half of those residents. Susanville is surrounded by mountains and is in a valley of open agricultural areas, cattle ranches, forests, and lakes. Most of Susanville is classified as a historical California town – in fact, it is established in 1854, the second oldest town in the western Great Basin. There are numerous historic buildings and landmarks in the area, including Roop's Fort, built in 1845. You will also find murual on various downtown walls are murals depicting the founding, development and growth of Susanville. The mild climate in this portion of Northern California mixed with ample streams, lakes and reservoirs make this is an angler's paradise. Fishing for trout, catfish and bass is a favorite pastime in Susanville, and skiing, hiking, camping, and golfing are also available and popular.